Some of our country's first heroes were the brave Native American Chiefs who fought for their tribes and continue to live in on legends. 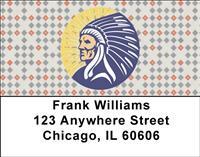 Now you can celebrate those chiefs and your Native American ancestry with these striking check series. With four regal and tasteful images your checks will finally say something about you and what you stand for.